As we steadily roll through 2019 there are new and innovative workplace practices being implemented daily. However, one issue that continues to persist includes the gender pay gap. On average, women in the United States are paid 20 percent less than men . 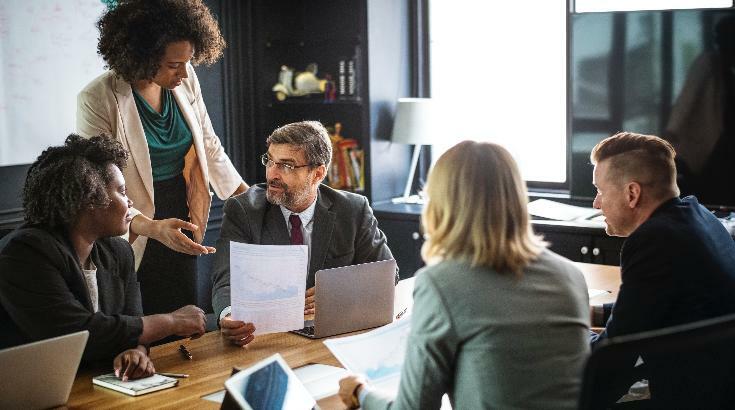 Since its inception, Staffing Solutions Organization (SSO) has annually observed Equal Pay Day by conducting regression analysis on its workforce to identify potential inequities for further exploration. SSO is proud to celebrate Equal Pay Day along with our workforce and renew our commitment to nondiscrimination and equal pay for all constituents within our workforce. We believe employees deserve to work in a meritocracy where their pay is based upon their contributions to the organization, along with their education, experience and skills. While paying employees fairly is the right thing to do, it also has major benefits for an organization’s employee engagement. Employees who believe they are paid fairly and what they deserve, are more likely to stay and grow with your organization. So how can you take actionable steps to continue to lessen the gap? ⇒ Audit and ensure that interviewing and hiring practices are fair and unbiased. ⇒ Verify that women have equal opportunities for advancement and career progression within your organization. This goes beyond just a mental checklist and has to come from employee feedback and reviewing opportunities within team structures. ⇒ Make pay negotiations an accepted practice across all levels of your company. If employees feel as though their jobs are safe when presenting a case for a raise or promotion-they’ll be more likely to ask for more...which means they WANT to grow with your company! ⇒ Take the next step by uncovering potential pay inequities by utilizing our Equal Pay Day calculator, coming soon. Let’s take this out…it’s 60% done but we’re getting sidetracked with new HR system going live today. Let’s put this on the calendar to add for next year. At SSO, we believe employees feel engaged when they’re paid what they deserve. We are focused on delighting clients with world-class managed staffing and talent consulting services. SSO is committed to a diverse workforce, which reflects our clients and the people they serve. Join us in celebrating Equal Pay Day by striving to discover any potential inequities you may need to explore. SSO is a wholly owned subsidiary of Public Consulting Group committed to exemplary workforce culture and strong employee engagement. We celebrate this every day with our more than 400 employees in eleven states.